My kids are constantly begging for a pet. We have a goldfish, but they really want a dog. This Halloween season they get to create their own pumpkin pet to take care of... which gets me off the hook a little bit! 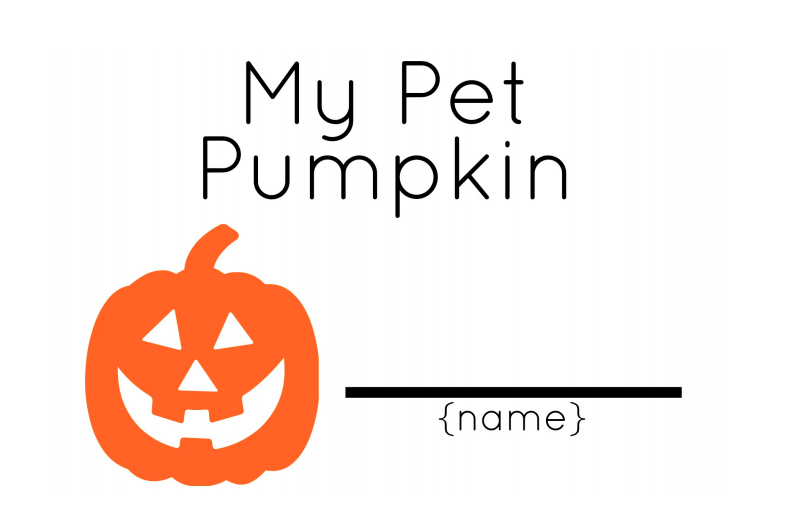 Make sure to download our "My Pumpkin Pet" printable book to use along with this activity! To create a pet pumpkin with your child just get out their favorite embellishments, white glue, and a pumpkin and let them start creating! They can add a face with googly eyes or draw some faces with Sharpies. After their pet pumpkin is finished they can use their "My Pet Pumpkin" book to share a little bit about their pumpkin. 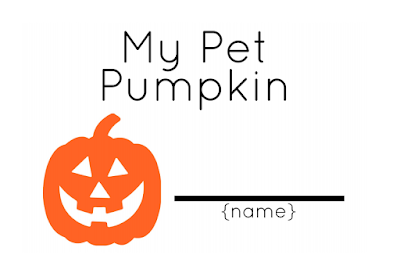 They can choose a name for their pumpkin, weigh it, draw a picture of it, take a photo of themself with their pumpkin and glue it in the their book, and they can brainstorm all of the places they want to take their pet pumpkin. In addition to printing out the pages in my printable book we also just added some blank pages so that kids could use their imaginations! They could draw pictures with their pumpkins, make up stories, or use their imagination to come up with other silly facts they want to share about them (favorite food, favorite movie, etc.). My kids love to carry their pet pumpkins around like they are their little babies. It cracks me up. Some of the pets at our house even look like pumpkin monsters!! 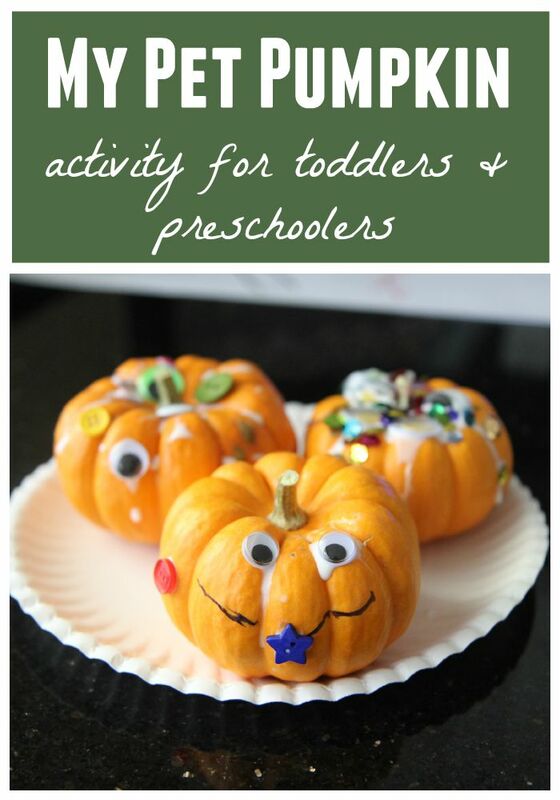 My kids love this activity because they get to use their creativity and imagination as they create and pretend. They could even make their pretend pumpkin a shoebox house or a secret hideout using blocks. 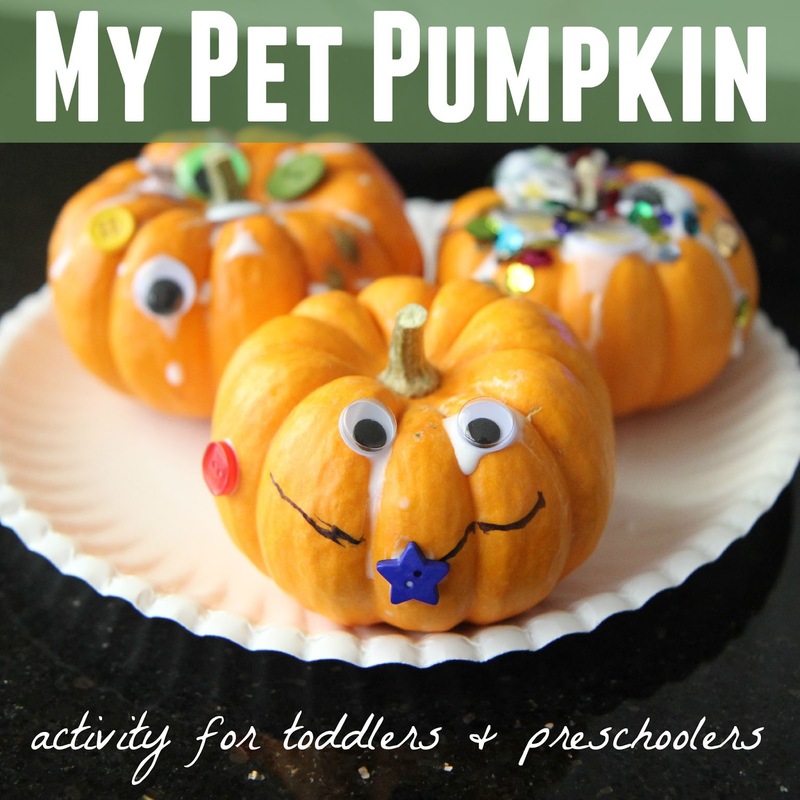 Would your kids have fun making their own pet pumpkin? What do you think they would call it? If you missed any of our other pumpkin week activities so far check them out below!! Find more of our favorite pumpkin activities on our Halloween Pinterest board.